The creation of sustainable communities requires both awareness and agency: the development of a deep understanding of the world around us, and possibilities for effective action. Based on experiences of embedding young people into the practice of urban decision-making and planning, children and youth across continents and cultures often have insights and perspectives that are hard for adults to otherwise see. This presentation will share a history of children’s rights, engagement in urban planning, and cases that exemplify best practices for creating sustainable communities that are part of the recent book titled Placemaking with Children and Youth: Participatory Practices for Planning Sustainable Communities. Lecture and discussion will highlight the importance of participatory placemaking for fostering more inclusive, welcoming, and people-centered solutions to environmental and urban problems that can lift up not only young people but also whole communities. Victoria Derr is Assistant Professor of Environmental Studies at California State University Monterey Bay, where her teaching and research focus on the intersections between sustainable communities, place-based environmental education, and social justice, particularly in under-represented communities. Recent research has focused on children, nature, and resilience in the U.S. and Mexico, and current research focuses on fostering cultural inclusion through arts and greenspace planning in Monterey County. From 2012–2016, Dr. Derr served as faculty coordinator of the child-friendly cities program Growing Up Boulder at the University of Colorado. This work was the the genesis for Placemaking with Children and Youth: Participatory Practices for Planning Sustainable Communities, published by New Village Press in 2018. 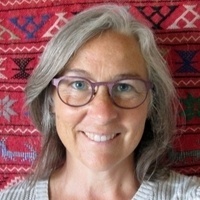 Dr. Derr holds a masters and Ph.D. from Yale University and has more than 20 years experience supporting children and youth’s participation in creating a more just and sustainable future in the U.S., Africa, and Latin America.